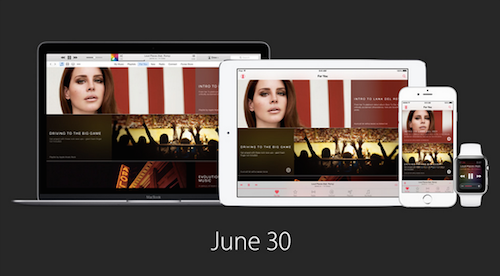 Apple Music was launched on the 30 June 2015 in over 100 countries. NZ was one of them, and with the iOS 8.4 Update came Apple Music. Unusually, Apple offered a 3 month free trial, which I have happily signed up for. Family sharing allows you to share it between up to 6 family members, although these members can then charge stuff to your credit card. Best. Thing. Ever. Although there are a couple of glitches, Apple Music has seamlessly integrated into my life, working great on my iPhone / Mac. The huge range of music available is great, and do I dare say, may be even better than Spotify’s? (someone prove me wrong if you want!). Playing Music Videos from iPhone to Apple TV – almost impossible! Apple Music revived my expired iTunes Match subscription, and has gotten back all the music I thought I no longer had. Playlist feature on iPhone is easy to use, and so is the whole interface. At this stage, the best part about it for me really is that it integrates so well with iOS/Mac OS X.
Bye bye Spotify. It has been a nice past couple of years.